Based in the picturesque city of Freiburg im Breisgau, Southwest Germany, duo Contour has long-established working relationships with composers such as Martin Bergande, Donald Bousted, Christopher Fox, Jürg Frey, Alexander Grebtschenko, Anne La Berge, Igor Majcen, James Romig, James Saunders, as well as composer/improvisers Harald Kimmig and Thomas Wenk. Since 2001 they have been interpreting and reinterpreting the music theatre and performance piece BATTAGLIA by Igor Majcen, working with the director, Petra Faißt. As part of the Microtonal Projects Collective, they have developed repertoire for malletKat (a midi mallet instrument) and microtonal trumpets, and appear regular at EUROMicroFest. 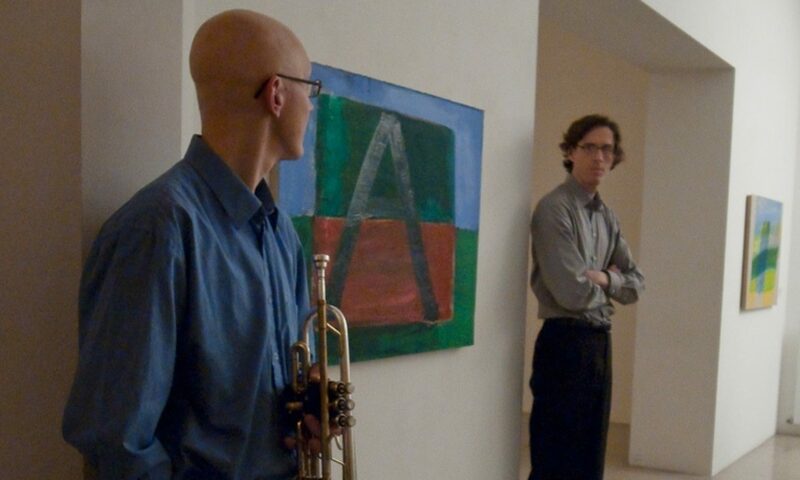 duo Contour was formed in 1998 by the American percussionist Lee Ferguson and the English trumpeter Stephen Altoft following their participation on the Darmstadt Summer Courses for New Music, where they performed as soloists and as an ensemble. duo Contour have successfully collaborated with composers, artists and dancers, and have extended their performances through improvisation and new technologies. These objectives have led to projects and performances in Germany, Slovenia, Switzerland, Canada, the United Kingdom and the United States. The duo has been resident at the Banff Centre for the Arts, Canada, were featured at the Ljubljana Festival (Slovenia), Huddersfield Contemporary Music Festival (UK), Percussive Arts Society International Convention (USA) and have been recorded by Südwest Rundfunk, Deutschland Radio Berlin, DRS2 Switzerland, and Slovenian National Radio. duo Contour have commissioned sixty pieces from composers from across Europe, Asia, the United States, Canada and New Zealand, and in 2000, gave the first performance of Christian Wolff’s Pulse in London. duo Contour are continually seeking new ways to bring new music to a broader audience through imaginative programming and giving workshops and masterclasses In 2003, they initiated the Lagerhaus Lectures, a regular series of presentations covering a cross-section of issues within the arts. Both performers are tutors at BISYOC, a summer music camp with participants from over 10 countries, where the focus is as much upon cultural exchange as it is upon new musical experiences. duo Contour are members of un-sound, a society for the promotion of both acoustic and electroacoustic arts, and cross-genre artistic expression.